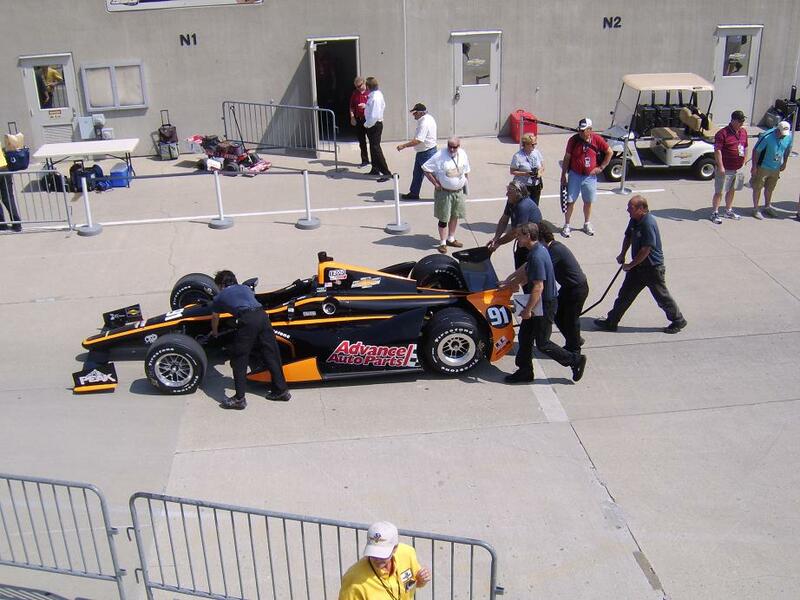 No Fenders -Formula 1, IndyCar and A Whole lot more..: INDY 500: Who'd ah Thunk-It, that Castroneves would become A "One-Offer"
INDY 500: Who'd ah Thunk-It, that Castroneves would become A "One-Offer"
As of May 1st, when I began scourin' thou Intrawoods to see who'd be racing at Mother Speedway this year. my Ryth-Muh-Tickin' not only tallied 36 entries, but also 12, which is a favourite number Up here in Seattle... Err Thars' 12 "One-Off" concerns potentially contesting this year's Indy 500, albeit Buddy Lazier's programme was very much unknown... As I'd hoped to see Buddy in action one more time at the Speedway. Not even gonna try any prolific prose upon thou Disco Queen 'O Indy Cars. Although I do chuckle over her sound bite of Not being Relative... But those RASSCAR' Greenbacks weren't too Bad, were they? Kinda like the colour of her car this year, as I'll expect the Go Daddy machine to crash out of the race at some point. But Dan-Dan-danicker obviously still's Got I-T! Since it was enough to lure me back to Mother Speedway this May, so I could say I saw her final race. Unfortunately, Buddy, and the Family named racing team owned by his Father Bob & Co. were unable to come up with the necessary capital to enter this year's Indy 500. As last year's race, for which Buddy crashed Hard, may be Buddy's last? Although I'll forever cherish a Fantastic evening Kibitzing' with Buddy and the late Dr. Who at the now Derelict and Demolished? IMS Flagroom, where Buddy was super nice to Mwah! This team's been the most pleasant surprise of the early season with its massively revamped Engineering Department, so Howard should be in good shape there, but I feel like he's definitely SPM's third wheel and I really Don't Expect much from him. Although Oriol "suitcase" Servia is racing for a brand new team from the IMSA Weathertech Sportscar championship, who I've previously mentioned are the Defending Two-times GT Daytona (GTD) Class Champions. They're partnering with Rahal Letterman Lanigan Racing, effectively as a third entry. thus with "The Graminator" and reigning Indy 500 Winner Takuma Sato as team-mates, not to mention having raced for RLLR previously, look for Servia to mix it up with the B-I-G BOYZ', as my late Awntie' Harriet liked calling 'em. What can I say 'bout Good 'Ol HULIO', that hasn't already been said, Eh? As he's the only Three Times Winner in the field, one of only nine men to do so. And he's also the only winner now relegated to "One Off" status. Along with his three "Baby Borg" trophies, Castroneves has also finished runner-up three times, including last year's epic Duel with eventual winner Taku-san', aka Takuma Sato! And also has finished third once.